Neighborhood Builders Awardee- Urban Peak | Adsystech Inc. Yesterday Urban Peak announced great news! An organization looking to affect “Real Life” through “Real Change” was given a chance to create a bigger impact on fighting youth homelessness in the Denver community. 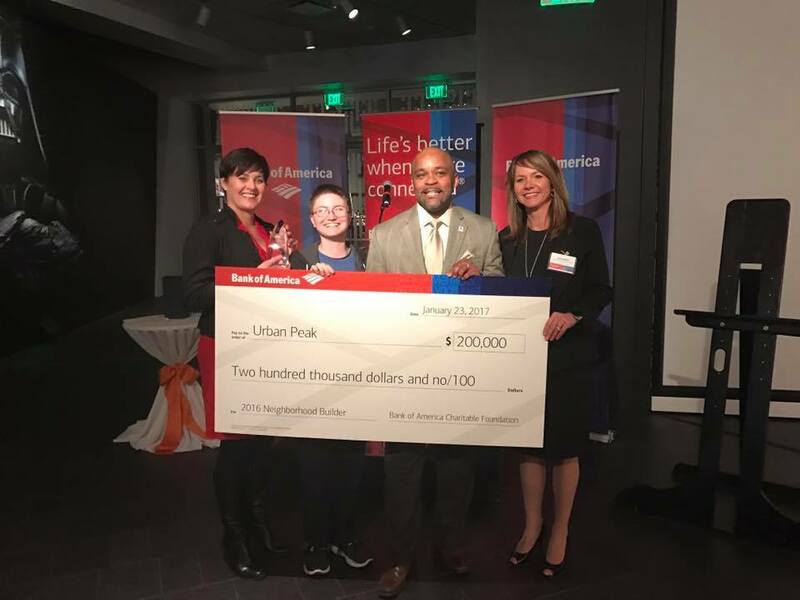 Bank of America gave Urban Peak $200,000 to continue to affect change as a Neighborhood Builders awardee. Excited by the potential surrounding this flexible funding, the Denver’s homeless youth community can find hope in the additional resources that can be used towards programs and services assisting in youth exiting a state homelessness. Congratulations on being honored and monetarily awarded Urban Peak!